Home » Linen, Facilities, and Uniform Services Blog » Napkin Services » Do You Need a Napkin Service? What is one of the first things you see when you sit down at your table in a nice restaurant? The table settings, the glasses, and the napkins. Most places use cloth napkins these days because they are more cost effective. When you have cloth napkins you need to make sure that you have enough and that they are always sanitary. There is nothing worse than having a customer come into your location and complaining that something isn’t clean. It can be almost embarrassing knowing that your facility missed a small detail that can mean so much. It happens to everybody at some point, but why not do everything you can in order to ensure the success of your business? When it comes to your napkins, there is a very easy way to make sure that you never run out of any, and you also will always have clean, sanitary ones ready to go. 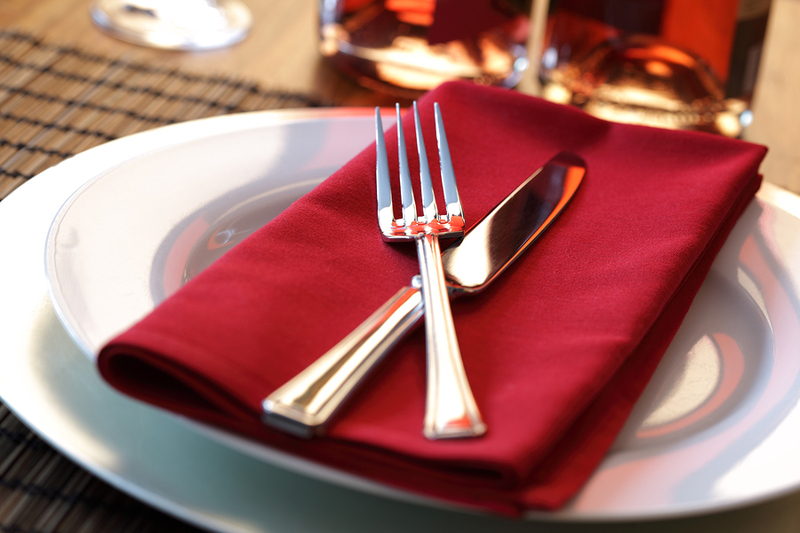 Napkin services are around in order to help make sure that your napkins are always up to par. Once you find out how many you will need for what amount of time, you will then find napkins that will fit your restaurant. After you figure out what kind of napkins you would like to use at your location, you can then set up a schedule with your provider so that they can come out and pick up your soiled napkins and bring you clean ones. Whatever schedule works for you, whether it be daily or weekly, it is all up to how you want to run your business. You can also get a linen service that helps with everything from napkins to table cloths! Don’t stress yourself out over things that you don’t have to.